Cajun on Wheels or also known as C.O.W is a Singaporean franchise. 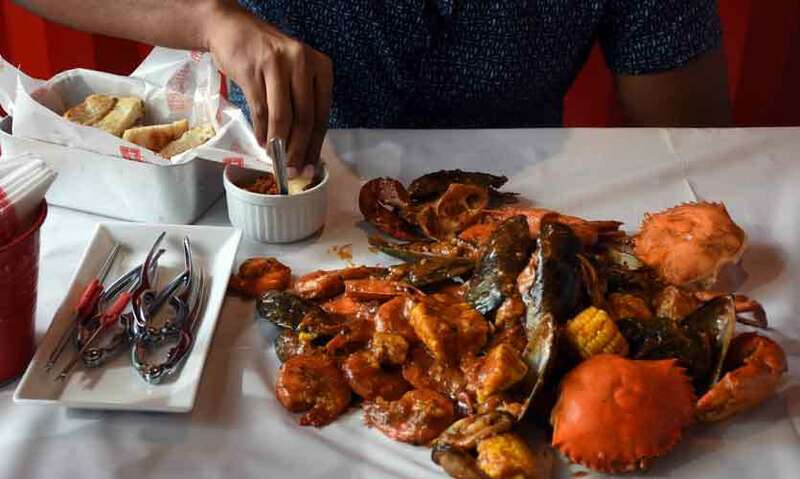 They were inspired from the Louisiana Cajun Seafood scene. They like to market themselves as casual dining. What does that mean? You ask, well they mean you are free to come with your friends and laugh, joke, shout, sing and just enjoy yourself. 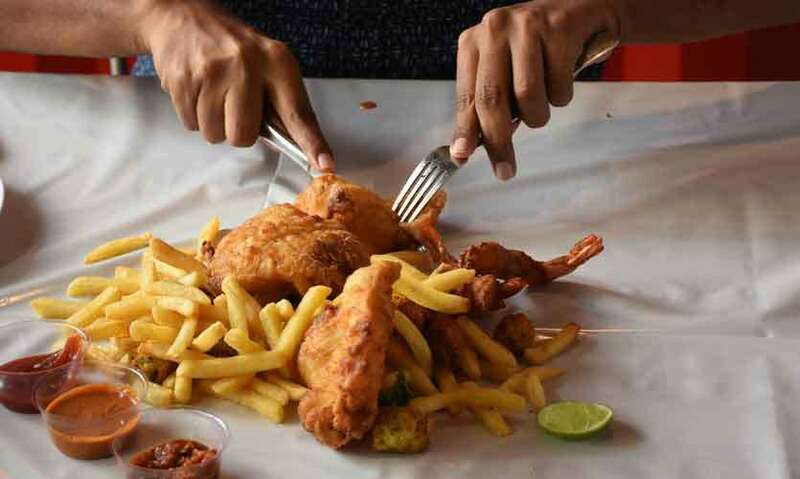 Unlike any other seafood restaurant in Sri Lanka they have a really interesting concept, for large buckets, they spread out a clean, plastic table cloth and pour the seafood in the bucket onto the table. This is done to encourage sharing and bonding over a lovely seafood meal. 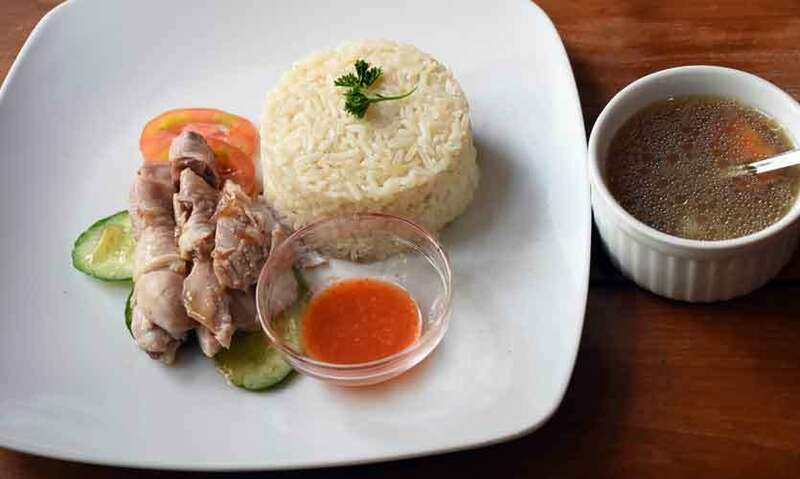 Their Cajun menu is more western cuisine, they also have a Hainanese Chicken Rice franchise from Singapore to suit the Eastern Sri Lankan palate as well. The ambience was friendly and inviting, good for coming with friends and even families. This was Sri Lanka’s first Containerized restaurant, they have 2 floors. However, I feel they could have done much more to give a seafood vibe, and even decorate it a bit better. I had the pineapple juice (Rs.300). This was actually quite thick because there was some coconut cream. I really enjoyed it. It tasted a lot like a virgin Pina-colada. 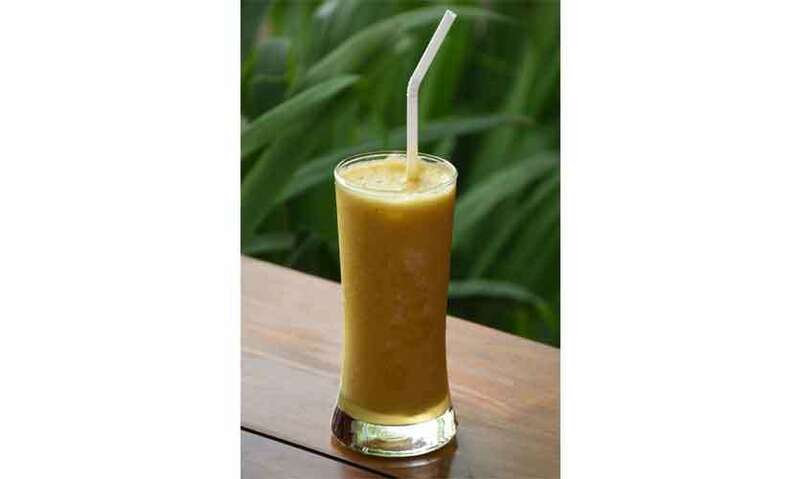 They have quite an extensive range of drinks, including juices, imported iced teas, milkshakes etc. To start I had the Mixed Seafood Platter (Rs.1200). This comes with charred jumbo prawns and mussels, the prawns were well seasoned and tasted yummy on its own. 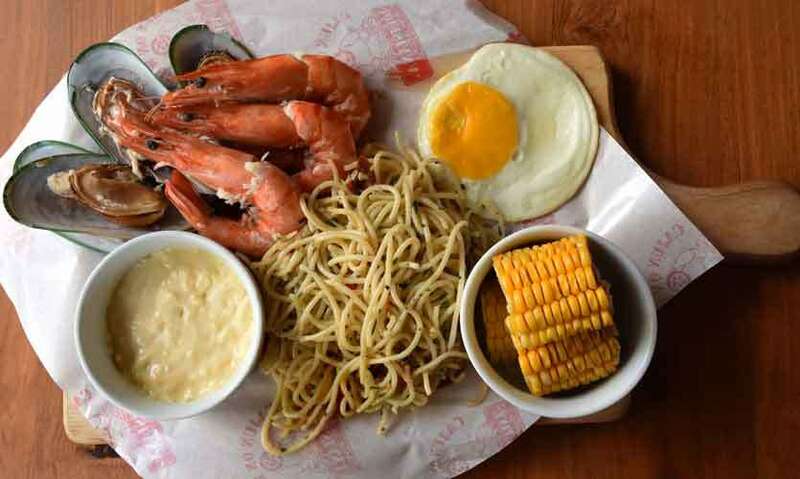 It also comes with a fried egg and an option between rice or pasta, there’s a 1 for 1 deal at lunchtime on this platter. Next was the Sailors Feast (Rs.2400), this feeds 2. Everything in this bucket was batter fried. 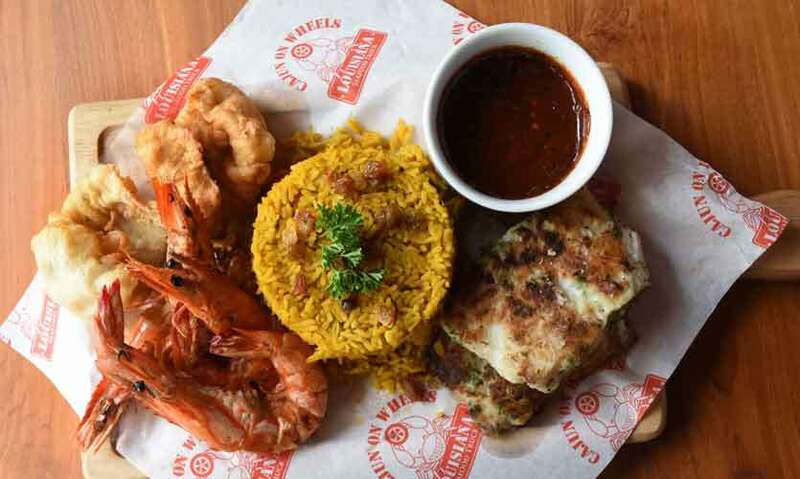 Comes with torpedo prawns, a lovely battered snapper fillet, cuttlefish, chicken meatballs and thick-cut french fries. This was accompanied with its own dipping sauces, chili tomato concasse (more like a salsa, slightly spicy and sweet), sambal mayo (very spicy, creamy but has a good kick) and tomato sauce. The batter was light and fluffy, it had a nice seasoning but I would have preferred more seasoning. The Cheesy Chicken C.O.W (Rs.980), this was honestly nothing to write home about. It wasn’t really cheesy (1 slice of cheese), the chicken was dry and really wasn’t good. Definitely not worth the high price point. 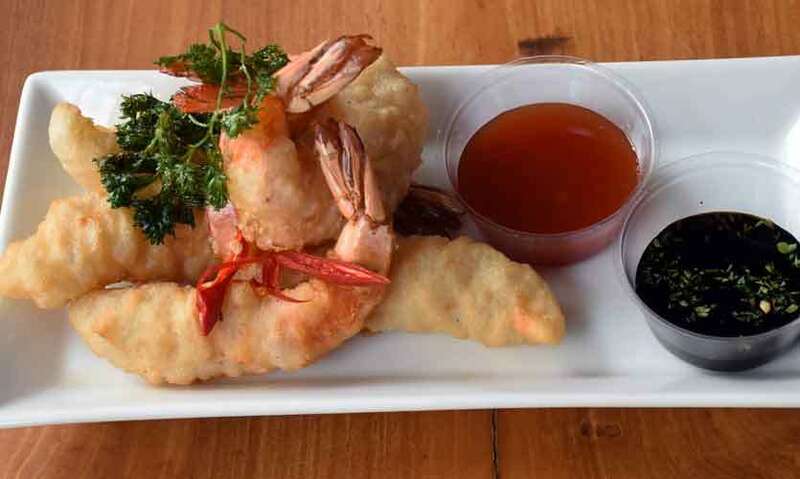 Tempura Prawns (Rs.600), Nice coating of batter, juicy prawns. It’s great as a side. The Naughty Platter (Rs.2600), again another great platter for sharing. Comes with Grilled Sea Bass (I preferred the fried fish), Crunchy Squid (would have preferred smaller pieces as their easier to chew. ), Grilled Prawns (This was not bad, but I think they were prepared in order to be enjoyed with the sauces). Finally, we had the Poseidon’s Bucket (Rs.8900), this is great prepared in either the Jaffna curry or the Singapore chili. This is a big bucket which is spilled onto the table to be shared by friends and family. This comes with Crabs, Prawns, Clams, Mussels, sweet corn, potatoes, and chicken meatballs. The homemade Roast Paan and Pol Sambol (Rs.350), is a great side to have with this bucket. C.O.W prides themselves in 6 signature sauces: Jaffna Curry (tastes just like the spicy flavorful curry we Sri Lankans are used to), this is the only localized sauce. The Singapore chili sauce is spicy and sweet, the salted egg yolk was one of my favorites as it had a very unique flavor, salty, creamy and not eggy. The Herb and Butter are great even with the Roast Paan. The Cheesy Cream was a thick and rich creamy sauce which was nice even with the grilled or fried items. The Cajun Cheese was pretty much a spicy version of the cheesy cream sauce. 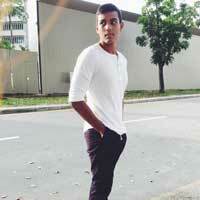 There are 8 types provided, and each is made to the authentic Singaporean recipes. However all the ingredients used are from local produce and also the flavors are adjusted slightly to fit the local palate. First was the Roasted Chicken Rice (Rs.600), this had strong flavors, the chicken was a little dry but the rice was very flavorful. 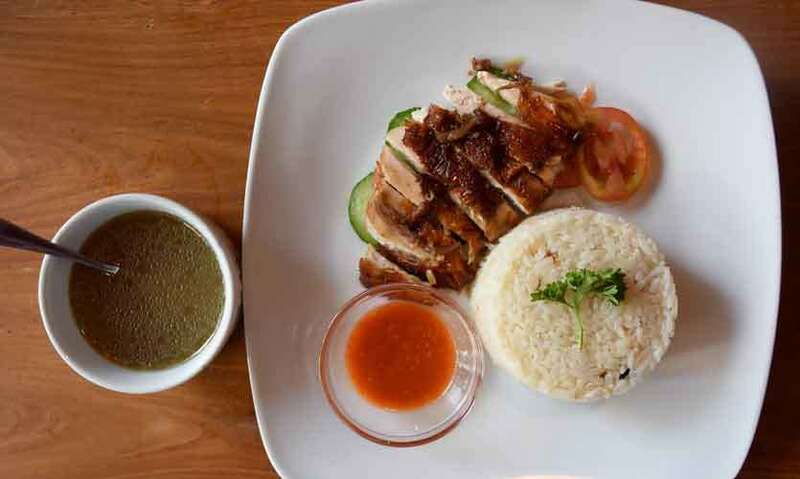 The Steamed Chicken Rice (Rs.600), had lighter flavors but the chicken was much more succulent. 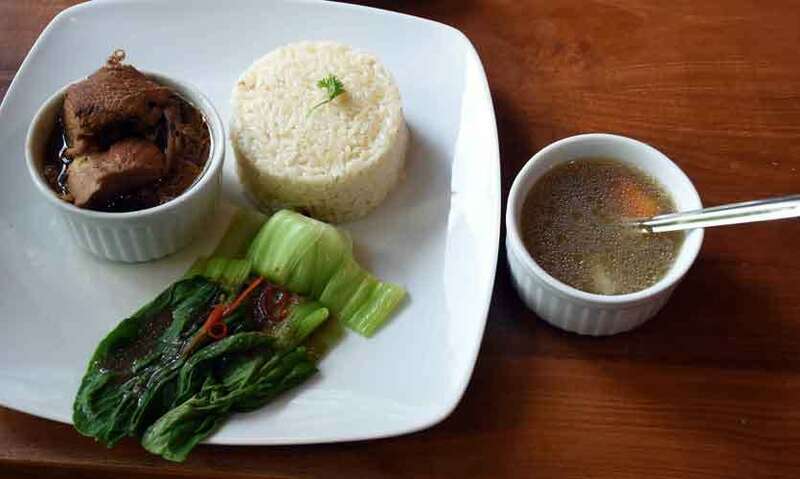 The Braised Soy Sauce Chicken (Rs.600), was the best for Sri Lanka. According to Singaporean owner, this dish was made by her grandmother who was Sri Lankan and was adapted to the Chinese flavors. It comes in a nice flavorful broth. Great friendly service. All the staff are very obliging and friendly and according to the guest book, they have scored very high on their service. The Food was definitely very tasty and if you’re looking for a novel seafood restaurant to visit with a group, then C.O.W is the place for you. The prices are relatively high but the quality of food is quite high. The Poseidon’s Bucket is really good if you’re sharing with a lot of people, further it has the added novelty of sharing straight of the table. Well, of course, it is quite expensive, but I would like to visit with friends. However, due to the price, I wouldn’t visit often.